Home > Domo Blog > Kitaro “FINAL CALL” Pre-Orders will start soon! DOMO BLOG > Kitaro “FINAL CALL” Pre-Orders will start soon! Kitaro “FINAL CALL” Pre-Orders will start soon! 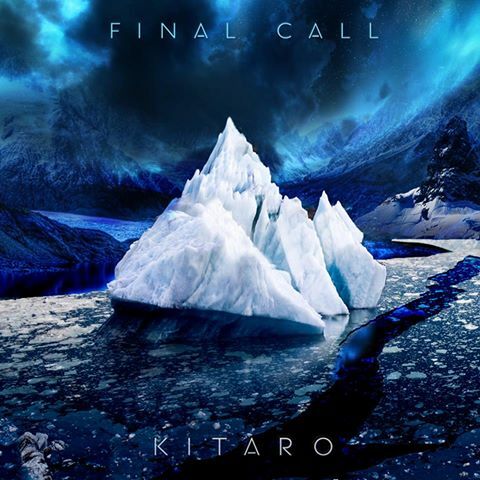 Kitaro’s new original album “FINAL CALL” will be released on September 10th, it is almost a month away! To celebrate this, we will have a Pre-Order Special with an exclusive item for Kitaro newsletter subscribers! This is a limited offering and we have a very limited quantity of this package! They will sell out quickly!! Hurry and join the Kitaro mailing list now. Detailed information about Pre-Ordering will be announced to Kitaro subscribers ONLY this Friday (August 9th). I have always felt we all must respect the providence of the Universe. Unfortunately, through the course of time and the growth of civilization, many living creatures that we now know will become extinct. If we don’t alter how we treat each other and our planet Earth, many habitats and portions of this earth may become devastated and eventually disappear. After meeting Professor Kazunari Shibata, at Kazan Observatory at Kyoto University, nature photographer Mr Toshio Ushiyama and the staff at Nagoya Science Museum, I had an epiphany of sorts. I began to recall the greatness of constellations, our solar system, galactic systems, the macrocosms that they create and the beauty of our planet Earth. As in the story of Noah’s Ark, this album is the story of an epic voyage… A voyage of hope that all living creatures can someday live happily in harmony with each other. The story begins from where we board for departure. This entry was posted in Kitaro and tagged Final Call, Japan, kitaro, music, New Age, new release. Bookmark the permalink.